John taking a load off with his girls! My dad enjoying a glass of vino! The results of day 1! OUCH! Tops Family going for a ride! My nephew Noah caught this off the dock .. we were all in awe! He was so proud .. LOL! My dad and my brother Mike with my dad's much wanted catch! 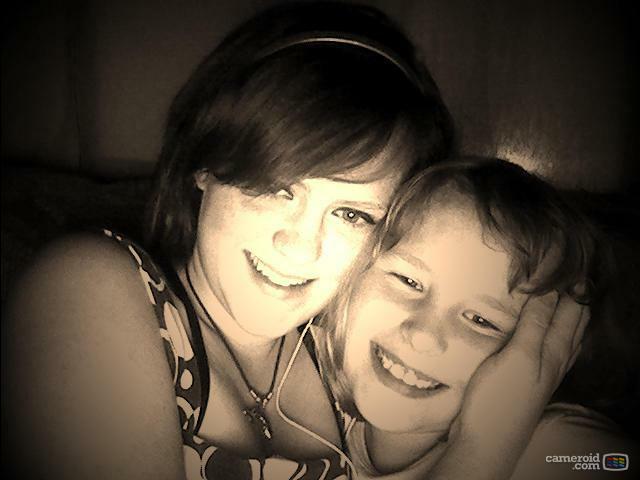 My GORGEOUS niece Morgan with my Alexa fooling around with the web cam! This was only half of the cottage .. there was another building for more sleeping quarters! I am in complete awe of how gorgeous this place is! I HAVE TO SCRAP THIS PIC of Morgan! GORGEOUS! My HANDSOME teen Cody and I .. seriously, he's so not a kid anymore! holy grown-up, batman. Especially Cody. wow. you have a gorgeous fam Rach.. love love love the pics.. they are amazing.. and i think my Ry became a little fond of your Morgan.. he told me they'd be friends forever.. CODY!!!!! OMG he is like all grown up and a teen!! and HANDSOME!! YES .. I'M A QUITTER!